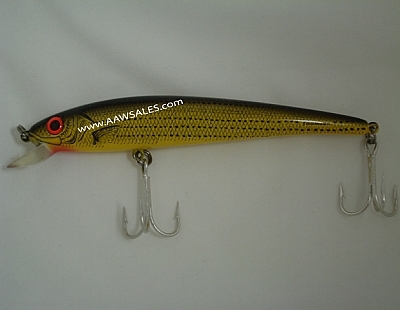 Baby Yellow Striper The A-Salt Bomber has the classic action of a Long A and is built of a very durable polycarbonate body. It features heavy wire hangers and hooks, heavy duty split rings and a special internal weighting system designed for making those extra long casts. Comes complete with two 1/0 saltwater hooks, the A-Salt Bomber is great for casting to Striped Bass / Stripers.